You’ve seen the the Goldie Blox commercial of three engineering girls building a contraption throughout their house, right? If not, definitely watch it. Goldie Blox isn’t the only STEM toy focused on encouraging girls to explore science, technology, engineering, and math. Inspire the next great architect with the Roominate series! Build and design your own homes or amusement parks with these kits. They are more than your average building toy. The kits also include motors and gears so that you can make your elevators, ferris wheels, or garage function. Use the pieces and motors to built the instructed house, or use your imagination to design your own creation. Lego came out with a series of sets focused on girls. 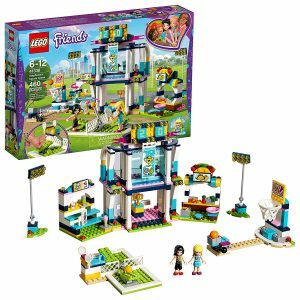 Lego Friends are filled with bright colors and exciting projects. I love this particular set where you build your own sports arena! 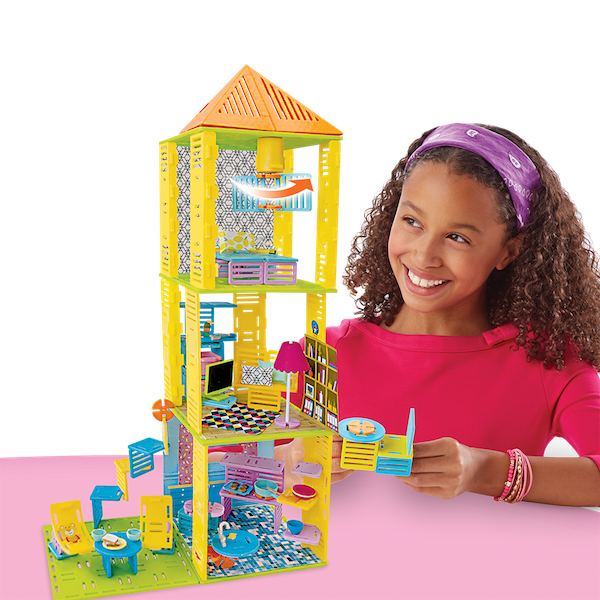 But kits also include creating your own store, tree house, and more. This award winning science kit was designed by two female PHDs to inspire girls like themselves! It includes a full lab notebook to learn the principles behind the experiments, like chemical reactions or effects of temperature. A science lab at home that everyone will love! Make your own lip balms in this easy-to-use kit. The lab notebook walks through each step, plus includes easy to understand directions. This is a one & done kit. It says the supplies are reusable, and you can re-use the containers, but you’ll need to purchase the basic ingredients again. 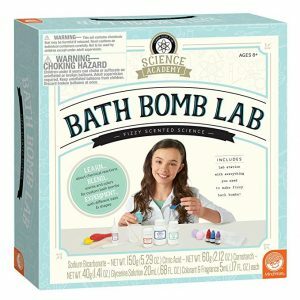 If lip balm doesn’t interest you, check out this kit to make your own bath bombs. There’s a variety of recipes here so you can experiment with your favorites fragrances and colors – even create a fizzy bath bomb. It’s easy to neglect just how much science & design surrounds us. 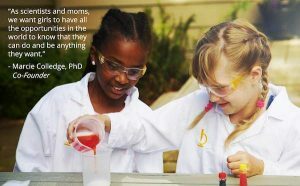 When inspiring girls to work in STEM fields, remember that STEM careers are vast! It isn’t limited to computer programmers or researchers in a lab. 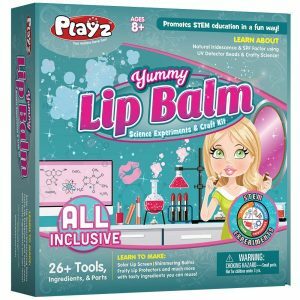 Even creating perfume and other beauty products fall into the STEM category! Scientists and product designers understand how certain molecules react to create a certain fragrance or effect. 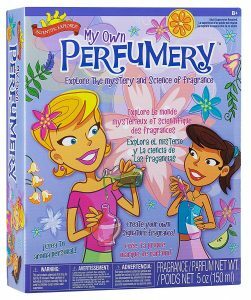 This perfumery kit is a great way for girls to explore the vast world of “STEM” opportunities. 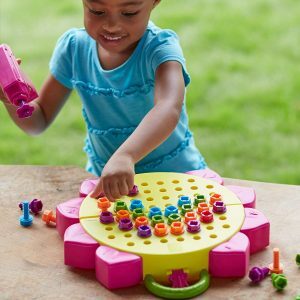 This is our favorite girl STEM toy for toddlers! Getting drilling and building with this drill studio. Its a great toy for practicing hand-eye coordination, logic, and patterns. 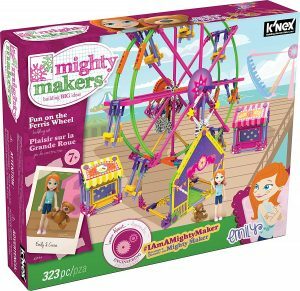 The K’Nex Might Makers series will be loved by boys and girls alike, but K’Nex launched it specifically for all the girls out there! I love K’Nex, and these sets aren’t very different. They’ve updated the packaging and added “Emily”, so you have a character who will enjoy exploring your creations! 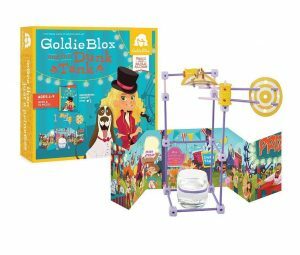 GoldieBlox is our final (and one of our favorite) STEM toys for girls. The female-founded company has won a number of awards for their toy designs. My favorite part is that each GoldieBlox set is story-focused. Build your creating, read the story, and let your imagination run wild.